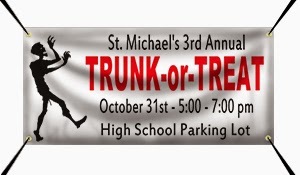 Order Custom Banners & Signs for Your Trunk-or-Treat Event! Trunk-or-Treat events are gaining popularity in communities. Instead of having children go door to door to Trick-or-Treat, families park their cars in a parking lot, and children go car to car to get candy. People typically decorate their vehicles and dress up in costumes as they hand out candy. 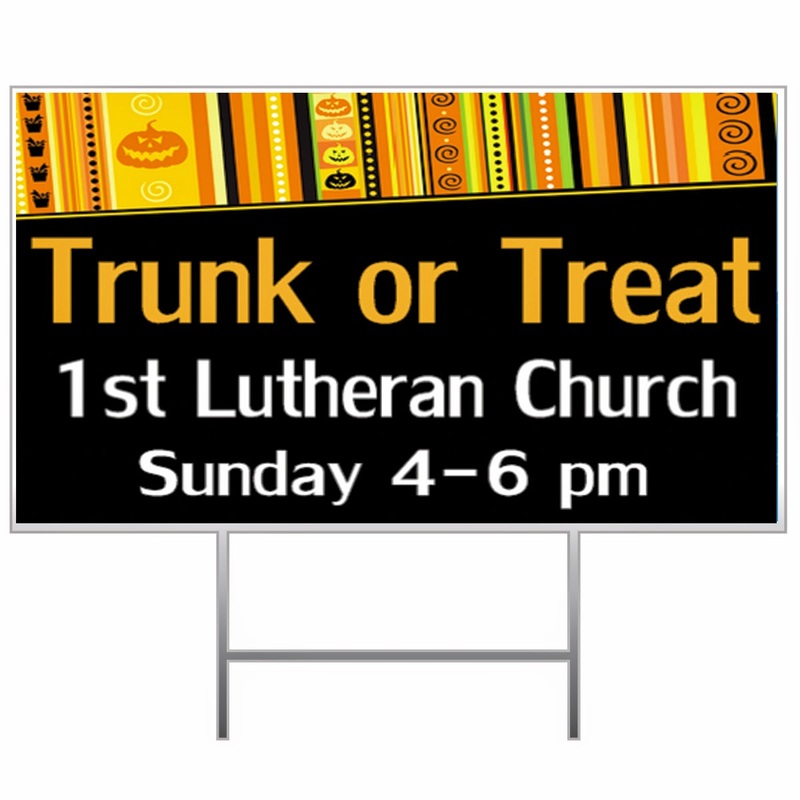 If your community is having a Trunk-or-Treat event, be sure to advertise using custom banners and signs! Vinyl banners are digitally printed in full color. They can be used to advertise your Trunk-or-Treat event. You can display the date, time, and location on the banner. Vinyl banners include hems and grommets so you can easily display the banner indoors or outdoors. Click here to get started on your Halloween banners. We also have custom yard signs available. Yard signs are printed in full color on a 4 mm corrugated plastic material. They have hollow flutes similar to cardboard. You can display the yard signs around your town to direct people to the Trunk-or-Treat event. We have H Stakes and Beefy Stakes available to display the signs with. Click here to get started on your own Trunk or Treat yard signs. We have lots of Halloween templates available to customize in our state of the art online designer. You can pick a Halloween background, Halloween clip art images, upload files, and add text. Click here for all of our Halloween products.